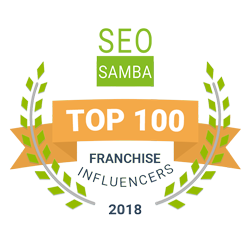 Franchise Money Maker - The Place to learn about Franchising, Small Business & Entrepreneurship. Franchise Money Maker is a Free Information Website written by industry veterans and experts in various disciplines of business and dedicated to Entrepreneurs. You will find information on everything from choosing the business that fits you best, to financing, to human resources, to marketing and accounting. The content and links presented on this page are for informational purposes only, and should not be construed as medical, legal, financial or any other type of advice. Any articles or content presented here are the opinions of the author and have not been reviewed for accuracy. We assume no responsibility for the use of this page or the information and links contained herein. 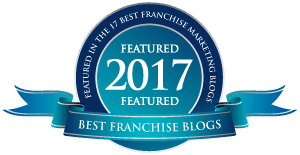 In addition, Franchise Money Maker offers Podcasts featuring in-depth interviews with Business Leaders, successful Entrepreneurs, and both Franchisors and Franchisees. 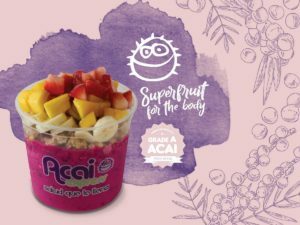 Join the growing trend of Healthy Lifestyles by becoming an Acai Express franchisee. Low Cost of Entry, No Experience Necessary, Protected Territories, Superior Marketing, Full Training and Ongoing Support.